Obamacare is falling apart. One third of US counties have only one health insurer offering coverage on the federal exchange. Last year, Tennessee indicated its market was very near collapse, and it hasn’t gotten any better. Currently, no health insurers in Iowa will be participating on the exchange. Minnesota is planning on spending $800 million tax dollars just this year to shore up its individual market. 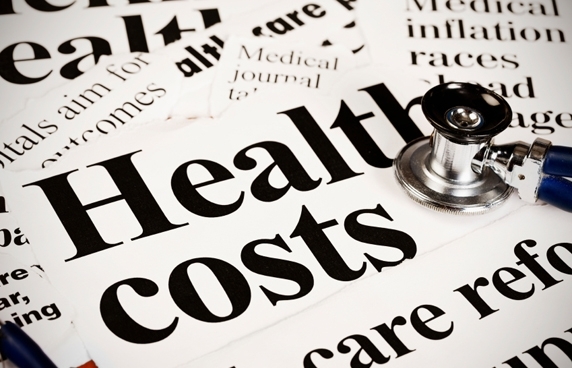 Alaska is spending its entire premium tax to keep their one health insurer in the market. Tragically, Wisconsin isn’t immune from the harmful effects of Obamacare. We have seen insurers leave the exchange, significantly reduce service areas, and leave the individual market altogether. There has been a lot of talk about what would happen to people with preexisting conditions if Obamacare was repealed and replaced. Thankfully, Wisconsin can provide a map for the road ahead. Prior to Obamacare, Wisconsin consumers could choose from over 20 individual insurance companies offering coverage in our state. There were a variety of plan options to meet a range of coverage needs. If a person was denied insurance due to a preexisting condition, they would receive coverage from Wisconsin’s high-risk pool known as the Health Insurance Risk-Sharing Plan (HIRSP). For more than 30 years, HIRSP provided Wisconsin consumers with peace of mind by providing high-quality, comprehensive coverage to over 20,000 of our friends and neighbors. This plan is widely regarded as a national model for providing coverage to individuals who did not have access to coverage through an employer or the government. Unlike the current Obamacare market where most people must wait until open enrollment to purchase coverage, consumers could enroll in HIRSP at any time. There were no preexisting condition limits for people signing up for coverage if they had prior coverage. If consumers had no prior coverage, they would receive coverage for most conditions, but had to wait 6 months for preexisting conditions. In contrast, with Obamacare you may have to wait up to 11 months for any coverage if you miss open enrollment. Once enrolled in HIRSP, consumers chose from a variety of benefit plans including both high- and low-deductible plans. While Obamacare plans are criticized for having narrow networks, there were no network limitations for HIRSP; members were able to visit any medical provider in our state and receive coverage when traveling outside of Wisconsin. Subsidies were also available to offset premiums, deductibles, and prescription drug out-of-pocket maximums for low-income members. HIRSP benefit and administrative costs were funded by member premiums and contributions from insurers and providers. No state dollars were needed to support this program. Obamacare did away with HIRSP, and premiums for individuals who were formally covered by HIRSP increased. Former members of HIRSP, like Sarah, have contacted us requesting a reinstatement of this program. The bill that recently passed the House, known as the American Health Care Act (AHCA), provides a strong starting point for implementing a HIRSP 2.0. It utilizes federal dollars to ensure affordable and accessible coverage for all individuals with preexisting conditions. ACA is in trouble, but with AHCA help is on the way to stabilize insurance markets and return access to affordable health insurance choices for consumers. It is the failure of Obamacare which is going to leave people without coverage. This failure created an individual market not viable either in the short term or long term. Reforms like Wisconsin’s HIRSP offer a way forward.